Pappy was an institution at the firehouse and one of the last remaining founding members of the “Coffee Club.” During his tenure with the department, Pappy was often found driving the ambulances, operating the tanker, and pumping the engine at fire scenes. He was also the Treasurer of the “Local Fund.” Pappy never shied away from a task no matter how big or small and always did it his way. Everyone knew when Pappy was driving a truck to “not touch the radio” because that was his job, something both of his sons do to this day. Pappy will be remembered by all those who met him, from the long-time members to the numerous college students who passed through the doors. 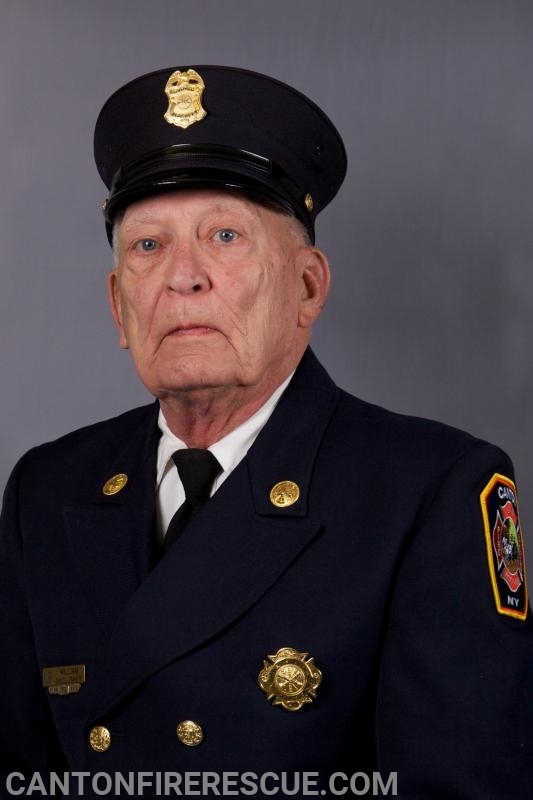 Pappy represented a long history of firefighting serving Canton and the surrounding communities during his 52-years as a volunteer. He was a firemen’s fireman and we will all miss you Pappy. Rest easy until we meet again. There will be no public calling hours and a mass of Christian burial will be held on Monday, February 4, 2019 3:00 pm at St. Mary’s in Canton. Following the mass there will be a celebratory gathering at Canton Fire & Rescue. 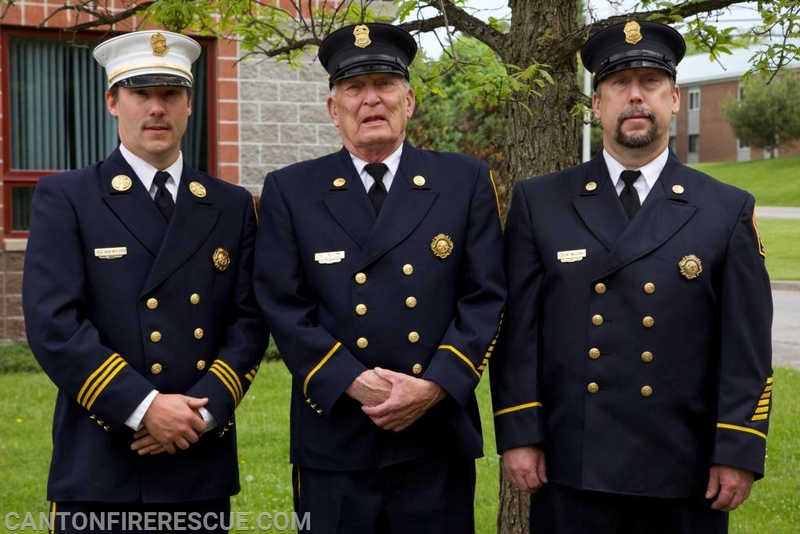 L to R: Chief Brian McCluskey, Bill "Pappy" McCluskey, Patrick McCluskey.